Does Format change a story? Format. Yes, it makes a difference. How you present information or how you present a story make a difference to the text. For example, I’ve been wanting to write a nonfiction book about a topic and tried writing a proposal for a middle grade book. It didn’t seem right. But then, I decided to try it as a non-fiction ABC book and it has worked well. That format – short snippets of information about 26 subjects – covers the topic very well. Yes, I could include much, much more information; isn’t that always true about a topic you’re passionate about? But this covers the right amount of information for the early elementary years. Just enough, but not overwhelming. The format is right. Notice that this format change also meant a change in the age of the intended audience. I’ve taken stories and tried them as a graphic novel, as a middle grade novel and as a YA novel. 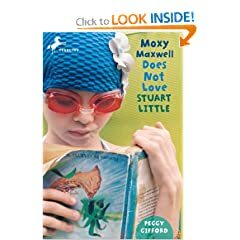 I’ve taken an early chapter book and divided it into six equal-length chapters, and then divided it again into multiple short, uneven-length chapters (such as Moxy Maxwell Does Not Love Stuart Little). The story doesn’t change, but it feels very different. 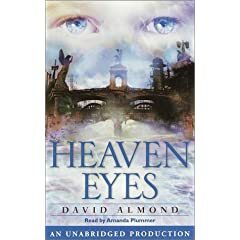 There are books which I find I can’t read, (Heaven’s Eyes by David Almond) but when I listen to the audio version, I love it. I wonder if stories will feel different when read as an ebook? Audience and format can change the content, the voice, the tone, or the overall feel of a story. What format do you envision for your story? How does that affect what/how you write?